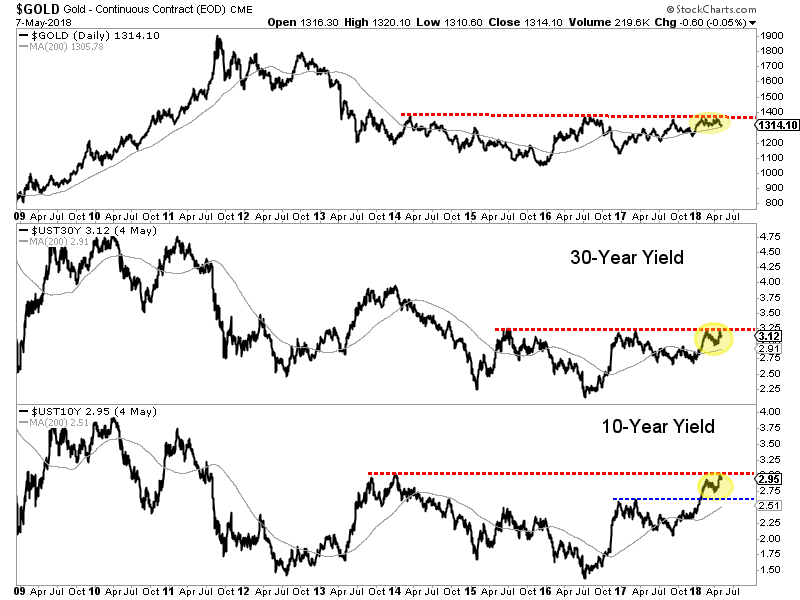 The vast majority of history shows us that Gold is inversely correlated to real interest rates (or real yields). It makes perfect sense because Gold has been money for thousands of years. 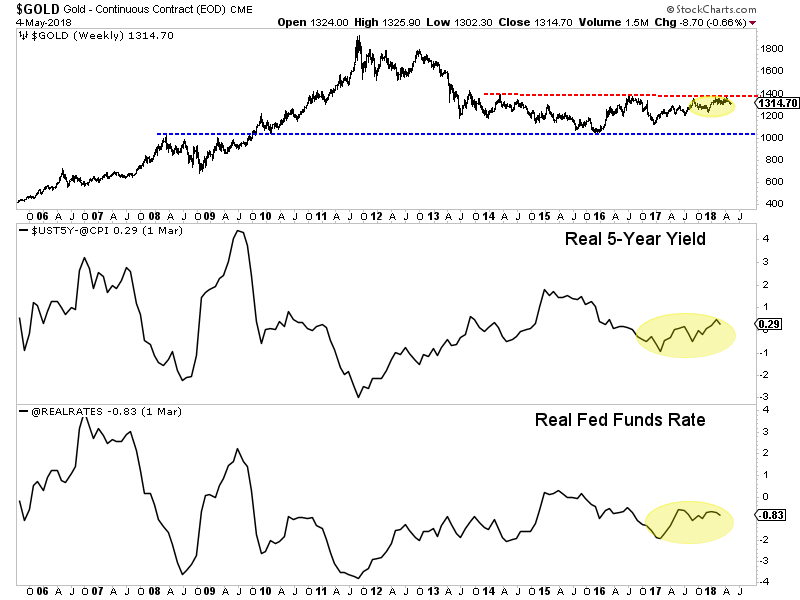 When real rates decline, the real return on money in the bank or in a treasury bill or note decreases. Gold benefits. The corollary is also true. Rising real interest rates indicate stronger real return on money invested in the aforementioned instruments. 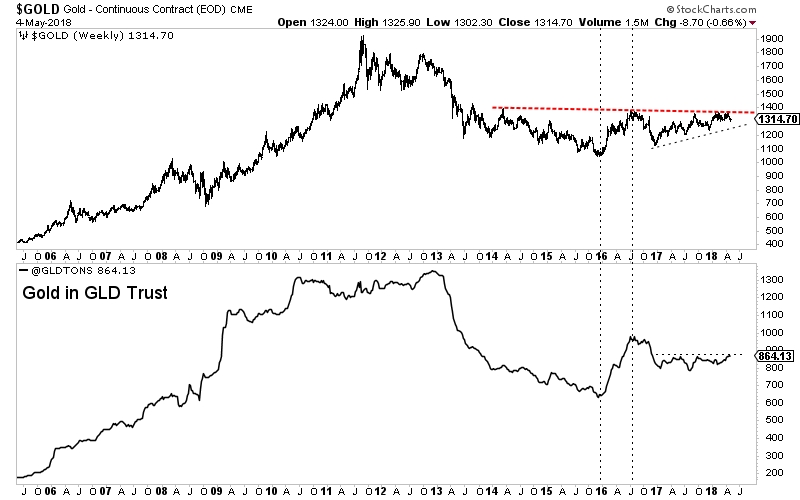 That’s negative for Gold. Real interest rates have actually strengthened for nearly 18 months, as the chart below shows. 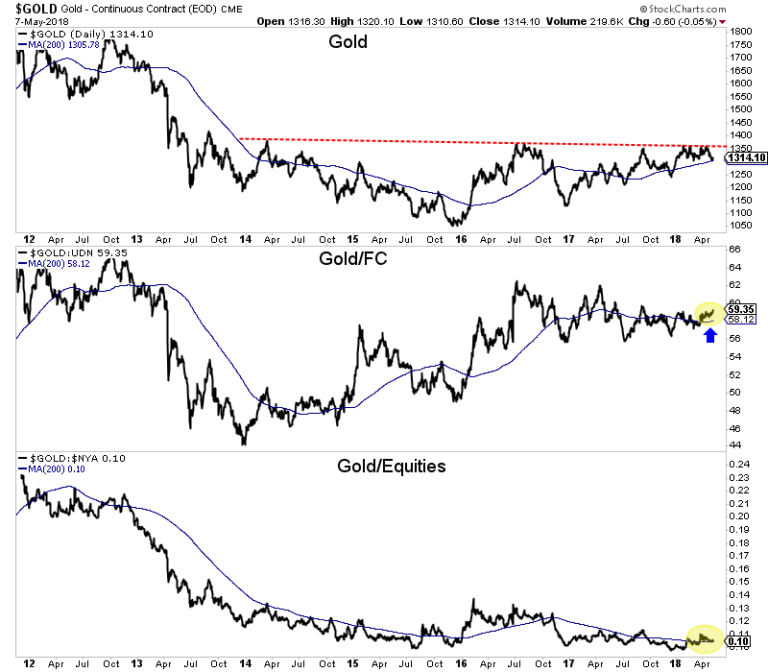 Gold has performed well during that period because of weakness in the US Dollar as well as some anticipation of an escalation in long-term yields.